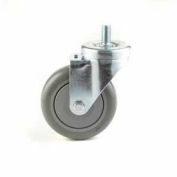 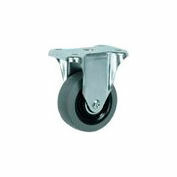 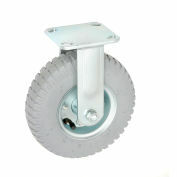 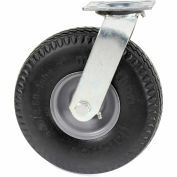 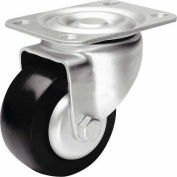 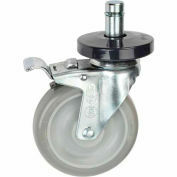 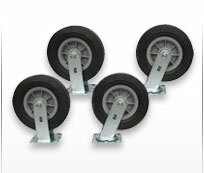 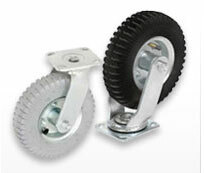 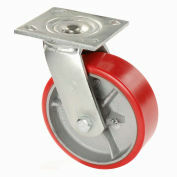 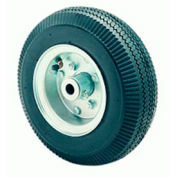 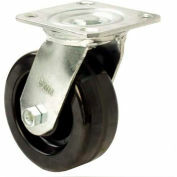 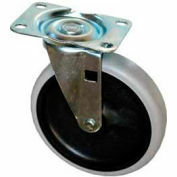 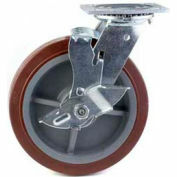 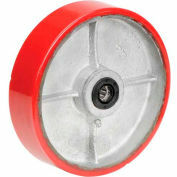 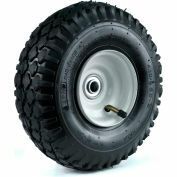 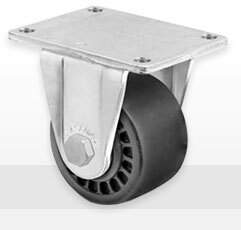 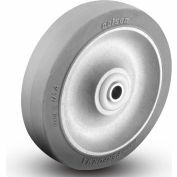 8" x 2" Polyurethane Wheel - Axle Size 5/8"
Casters offer unsurpassed durability and use for abusive and demanding shock load applications. 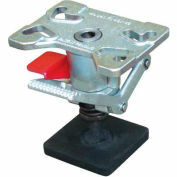 Simple Foot Pedal actuator locks and unlocks the brake. 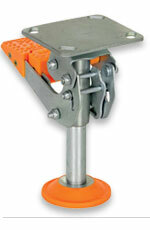 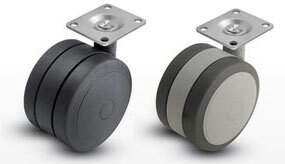 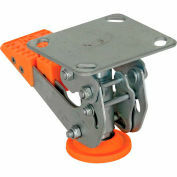 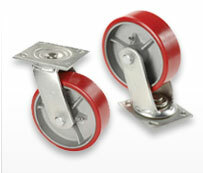 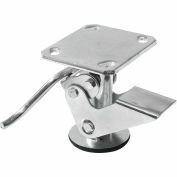 Heavy-duty steel Floor Locks have a corrosion resistant zinc plated finish.